The stock index NASDAQ is trading at 5416.8. 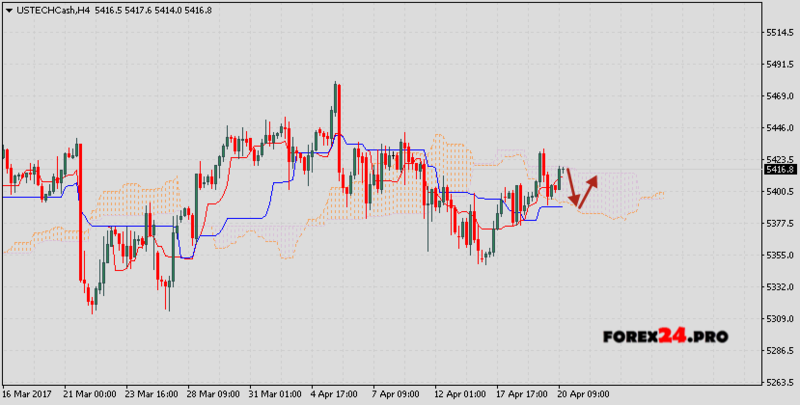 The NASDAQ is trading inside the Ichimoku Cloud, which indicates the presence of a lateral trend for the NASDAQ. It is expected to test the lower boundary of the Ichimoku Cloud near the level of 5390.0, from which it is expected to test the upper boundary of the Ichimoku Cloud near the level of 5413.0. Earlier, a weak signal was received for the purchases of the NASDAQ Exchange Index, due to the intersection of signal lines at the level of 5379.0. Consider buying is worthwhile with the breaking of the upper boundary of the Ichimoku Cloud and the closing of quotations above the level of 5440.0, in case of breaking through the lower boundary of the Ishimoku Cloud, we should expect the continuation of the development of the downward trend in NASDAQ. A reversal model Head and shoulders is formed, so there is a probability of a fall in the index. Can u analyse the floor of nasdaq 100 according to your expertise and analysis of model ? Thank you for replying so quickly..
Forex24pro , can you analyse what will be the floor that Nasdaq 100 can touch today according to your expertise ?